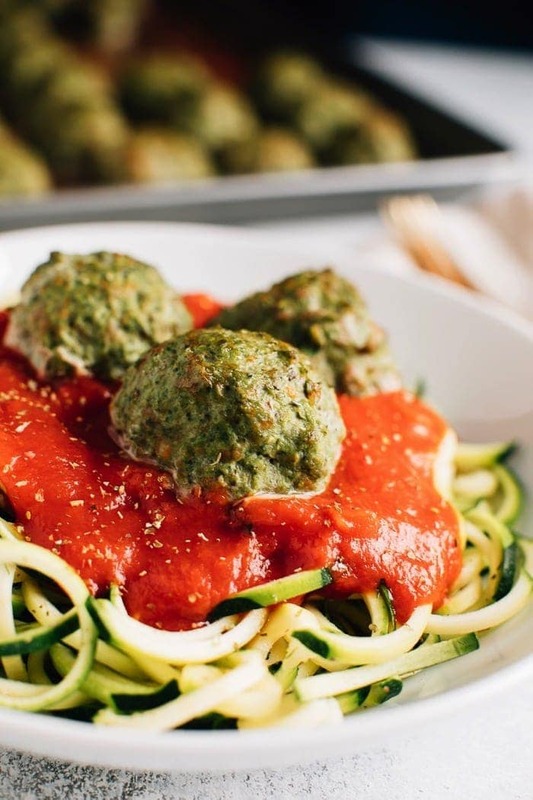 These simple, clean eating Popeye turkey meatballs are moist and flavorful, loaded with veggies and require no binders! Great for meal prep because you can add them to pasta, sandwiches, salads and more throughout the week! Gluten-free, dairy-free, paleo. A few weeks ago I shared on Instagram about a new recipe I was working on for spinach turkey meatballs, which I affectionately called Popeye turkey meatballs. Everyone went crazy asking for the recipe so I knew I needed to test a bit more and share them ASAP. For those of you who have been waiting patiently, the recipe is finally here. I’m sorry it took a little longer than expected! Anyhow, I am STOKED about this recipe because these are the most basic (in a good way) meatballs I’ve ever seen — they’re literally just turkey, veggies and spices. No flour, no bread crumbs, no eggs! The first time I made them I was so worried that they wouldn’t stick together because we left out the flour and egg, but alas they held together perfectly. And the texture and flavor was sooo good! 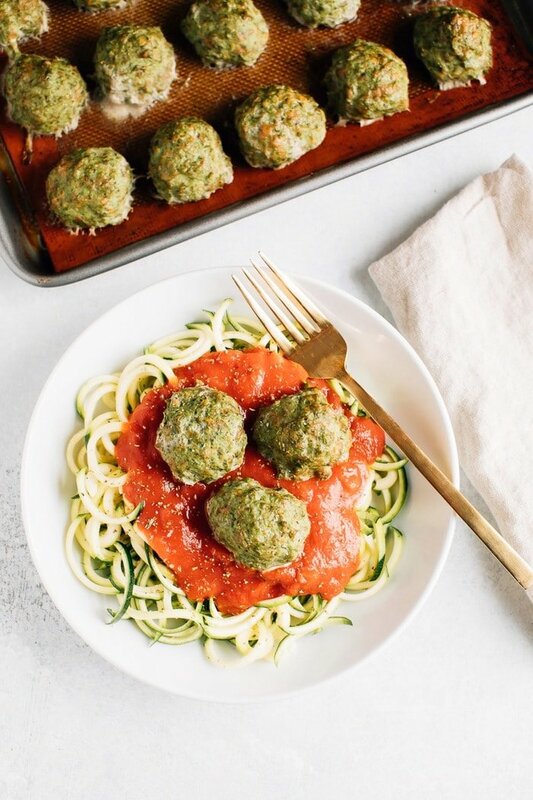 We’ve been making them a part of our weekly meal prep and it’s been amazing because one batch makes a ton of meatballs (about 30) and they can be used in so many different ways! 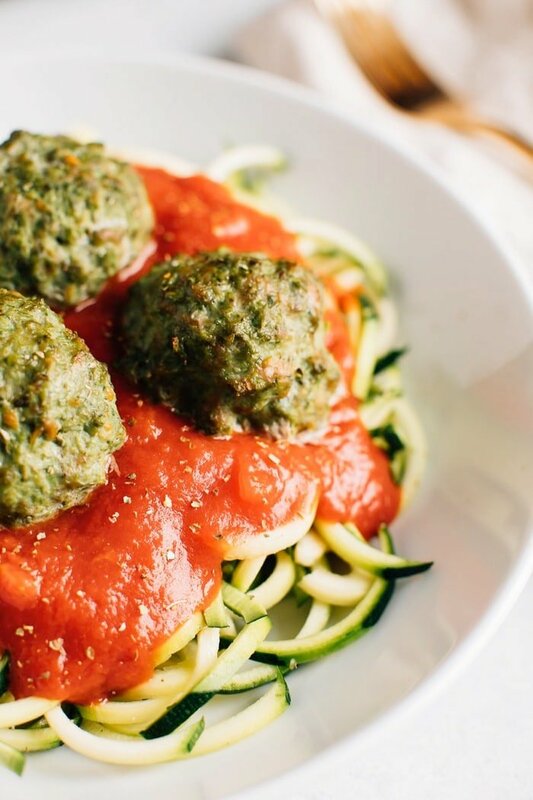 So far we’ve had them over zucchini noodles with a pasta sauce for dinner (pictured here) and I’ve been using them as a protein option on salads. Meatball salad is totally a thing and it’s dang good! I’ve also been known to grab them straight from the fridge for a protein-rich snack. Cold meatballs FTW! Now that I’ve figured out the basics to making meatballs I’m going to try my hand at a veggie version using my lentil loaf recipe as inspiration. I’ll report back soon! Ready to whip up a batch of these turkey meatballs for yourself? Here’s the easy, 8-ingredient recipe! 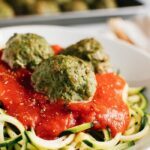 These simple clean eating Popeye turkey meatballs are moist and flavorful, loaded with veggies and require no binders! Meal prep a batch early in the week so you can add them to pasta, sandwiches, salads and more throughout the week! Make sure onion, carrot and spinach are finely chopped as you don’t want huge chunks of veggies in the meatballs. I like chopping all the veggies in my food processor to save time. The spinach was super chopped, which why the meatballs look so green!! 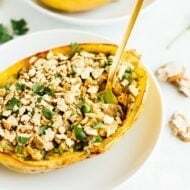 Grab a large bowl and add turkey, chopped veggies and spices. Gently combine, using clean hands if needed. Roll meat mixture into 1-2 inch balls and place on a baking sheet sprayed with non-stick coconut oil cooking spray. Place them about 1-inch apart. Bake until outsides are lightly browned and centers are no longer pink, about 25 minutes. Serve right away or let cool before placing in an air-tight container if you’re making these as part of your meal prep. *Feel free to add 1 egg or 3 egg whites to the mixture if you want a fluffier meatball, but I find the meatballs to taste great without it. If you make these Popeye Turkey Meatballs let me know how they turns out in the comment section or share a photo on social media. Just be sure to tag me (@eatingbirdfood + #eatingbirdfood) so that I see it! My fiance is trying to give up re meat. 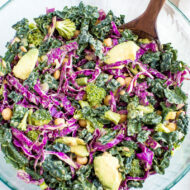 This looks like the perfect recipe to ease the transition! Yum! These look great and I love that it packs in some veggies, thanks for sharing! Of course, Em. I hope you get a chance to try them. These look really good. It’s nice to find a healthy recipe for meatballs. They’re on my list to make next week. Thank you, Amanda. I’m so happy the Instastory was helpful too. You’ll have to let me know what you think of the meatballs. Can these be frozen if I don’t plan to use them all in the week? Totally! Once cool, I’d place them on a baking sheet in the freezer until hard. This step just keeps them from sticking together. Once hard you can place them in a freezer storage bag or freezer safe container and store them up to 3 months. Saw these on your instagram account – can’t wait to make them! How long do they last in the fridge? Thanks! I’ve used both, but I think I prefer the 93% over the 99%. These are amazing! Made them last night and served with zoodles and marinara sauce…delish! Husband loved them and he is not a huge turkey burger fan. I had some leftover Italian turkey sausage so added that in with the ground turkey and highly recommend! These came out great, I just chopped up the veggies cause I don’t have a food processor and they are not annoying at all! Can you freeze the meatballs after they are cooked?? It would be great to have frozen ones on hand for a quick meal during busy weeks! 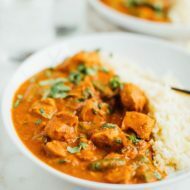 I’ve made these 3 or 4 times and they are so good, and really easy to make. They have become a permanent replacement to the frozen meatballs I used to eat!